My first assembly of the year touched on New Year resolutions as the start of a new calendar year is often a good time to re-evaluate how we are doing and set some goals that motivate us. As a School, I asked the children to concentrate on developing their resilience; something we are going to look at further over the coming weeks. 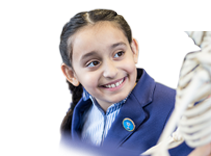 As mentioned previously, I feel this is an essential part of our aim to nurture the children so they can achieve their very best. 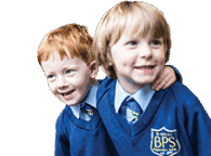 Resilience can be different for children of all ages and something that they need to persevere with (and be allowed to do so independently and, at times, not always be fully successful), be that being able to do their zip up, learning tricky words, times tables or gaining new skills. The pride the children show when they have persevered and achieved something by conquering it and having been in the ‘learning pit’ is great to see, and the self-reward for this is actually far better for them than receiving a certificate /award, (though we often give that as well). In fact, the most successful learners are self-motivated and not concerned by extrinsic awards, they simply want to better themselves. When they have persevered it is wonderful, as it means that they have made a sustained effort over a period of time, and must have been resilient. 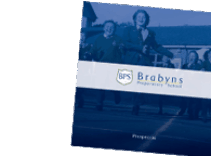 With most facts at our fingertips (or even now at the call of “Alexa ……” ), the developing of the children’s resilience and dedication is more important than ever and a key part of our curriculum at Brabyns. I believe a successful child needs this in abundance so they can flourish, be creative and flexible. These qualities of adaptation, imagination and intuition, will set them aside from technology, and enable them to view problems not as setbacks, but as opportunities for creative thinking and as exciting challenges which they can overcome. This growth mind-set is one we have a responsibility to ensure that our children increasingly understand, value and practice, and works best with the support of our parents e.g. thinking when you offer help and when allowing the children to try independently first (this may just be carrying their bag, opening a packet, as well as more academic learning). Enabling that learning moment (when they ‘fail’) builds their resilience and, in turn, increases their confidence by coming through the other end and turning the challenge into an achievement. A child with a resilient and persevering nature is very often the successful, confident child and one I feel will be able to go on and achieve so much more in life.